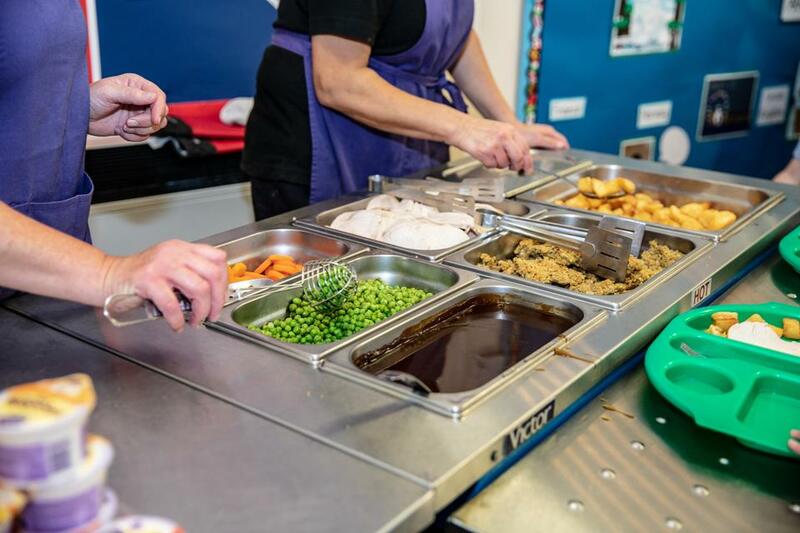 Fresh school meals are cooked on site daily. We have a very good cook, who has adopted the council's new healthy eating programme. Although children obviously won't be forced to eat anything they don't like, they are encouraged by the lunch time staff to try a spoonful of something new on the side of their plate. There is a choice of a hot meal (vegetarian option always available) or a sandwich meal. Menus are issued from the Council at the beginning of each term. School meals are free to all children in primary schools in years Reception, Year 1 and Year 2. They are charged at £2.10 per day for children in Years 3 – 6. Why do I need to apply if my child gets a free school meal anyway? When a child is on the FSM register they may receive financial help towards any school trips. All new parents applying for FSM will also be given a voucher for £50 towards school uniform purchased from the school. Children on the FSM register may receive extra tuition and help towards breakfast & afterschool club if parents return to work. The school receives £1,300 per year into the budget for every child who is registered on the FSM – so obviously by applying you are also helping the school. Parents receiving Working Tax Credit for four weeks after their employment finishes are also entitled to free school meals during that period. 1) Apply online www.eastriding.gov.uk (search for free school meals). The benefits section will make automated checks to confirm your entitlement and tell you immediately if you qualify. 3) You can visit the East Riding Customer Service Centre at Haltemprice Sports Centre for an application form. My child already receives free school meals in the infants so why should I apply? Free school meal in Juniors if still eligible. These benefits are available to all children regardless of their year group. No, you can apply at any time during the school year or whenever there is a change in your circumstances. What if my circumstances are temporary and are likely to change in the near future? It really doesn’t matter. If, for example a parent has lost their job and temporary claiming benefits you can still apply, or if parents separate, even temporarily which results in a reduction in household income. Registering as eligible for even 1 week makes a huge difference to school finances for a full 6 years. That one week could bring a guaranteed £7900 over the next 6 years…. so you can appreciate what that does for our budget.